Fiorentino was, no doubt, the archetype of the orchestra singer, a concept which synthetically describes the main feature of tango in the 40s, when the singer was a member of the group on the same level as the musicians. Fiorentino and Troilo achieved a well-oiled mechanism, of a perfect match where the orchestra was spotlighted in a long introduction to afterwards provide the adequate background necessary for the singer´s showcasing. He was not virtuoso, his voice was small and his diction was far from impeccable, but these technical disadvantages did not hamper his amazing success. In my opinion, his interpretations of the tangos “Gricel”, “Garúa” and “De barro”, of the waltz “Tu diagnóstico” and of the milonga “Mano brava” turned out anthological. 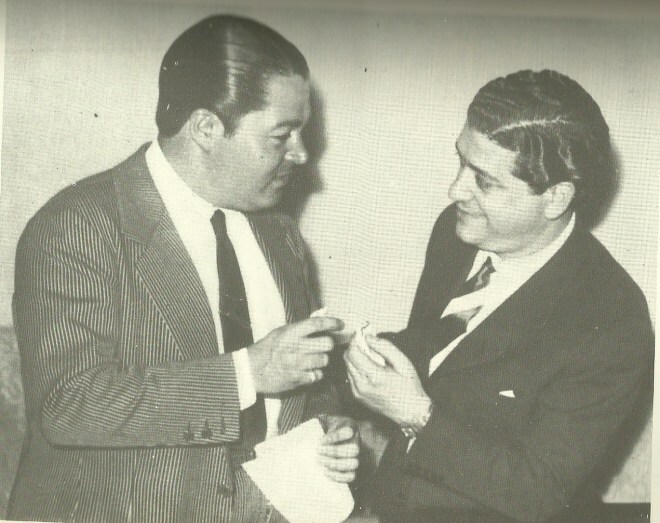 His personality, his taste and the permanent supervision by Pichuco resulted in an intimate singer of great warmth in his interpretation who knew how to touch the audience, establishing himself as a milestone in the history of tango vocalists. His artistic career beside Troilo lasted six years. His début was at Marabú night club on July 1st, 1937 and he left Troilo on March 1944. Continue reading.